Put on your seat belt now through Christmas Eve if you’re in a rocky relationship, as you may become one of the holiday statistics. I hate to be the bearer of bad news, but breakup season is officially here. The Facebook breakup chart from David McClandess, which was released a few years ago, spread like wildfire over the Internet. Based on a study of profile updates with the words “breaking up” and “breakup” it was proven that the two weeks leading up to Christmas showed a peak for those bidding farewell to their current love interest. Although couples were given ample time to prepare for holiday breakups, we were told that the period of December 11 – 24th would be a peak period for relationships to dissolve. Fortunately, Christmas day isn’t a popular day to say “au revoir” to your beau. 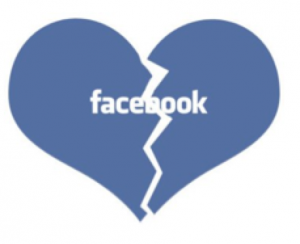 The research on Facebook status updates was based on search words for breakup and breaking up. So why has breaking up become such a hot topic this holiday season? The time leading up to a major holiday or event for a couple can be very stressful. Along with birthdays, Valentine’s Day, and anniversaries, the Christmas season is a time where you show the world that you are a couple. It also involves a financial investment, and with today’s economy, many singles aren’t willing to invest in an expensive gift if they know the relationship is about to run its course. Julie Spira is America’s Top Online Dating Expert and Digital Matchmaker. She’s been helping singles find love online for over 20 years with her Irresistible Online Dating Profiles. For dating advice, follow Julie on Twitter, Facebook, Instagram, and sign up for the free Weekly Flirt newsletter.